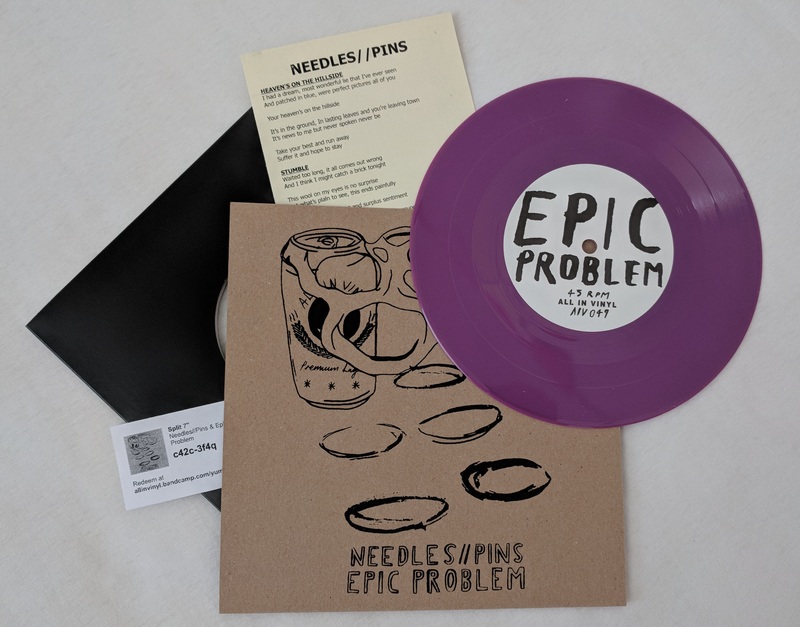 Needles//Pins and Epic Problem Split 7" OUT TODAY! RELEASE DAY! The final split 7" in the series is out today, featuring the excellent NEEDLES//PINS and Epic Problem. Down and Outs - Double Negative LP Out Today! That's right, we are extremely excited to bring you the brand new Down and Outs album! 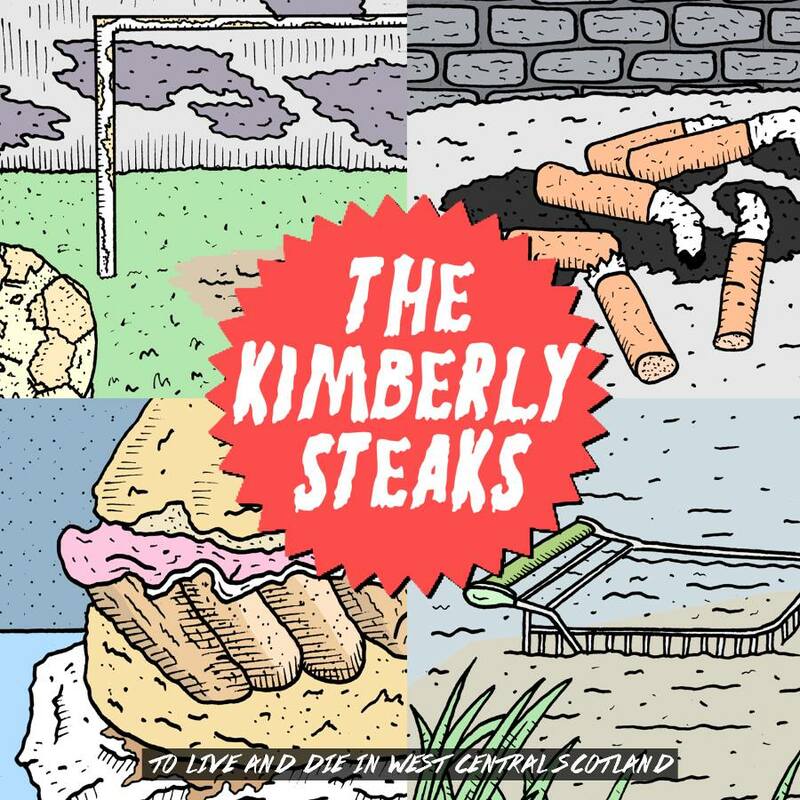 Their 5th album and the 3rd we've been lucky enough to release. Everything you've come to expect from them from them, relentless sing-alongs from start to finish. Melodic anthemic punk rock at it's finest. It's my favourite Down and Outs album, simple as that! In other news, the next 7" in the split series is finally at the pressing plant, it features New Junk City and Hot Mass. We actually got the test presses back yesterday (sounding great!) so the record should be out early April. The last 7" in the series won't be far behind. It features Needles//Pins and Epic Problem and should be out in late May. The Science Police / Zatopeks 7"s arrived this morning and after a very busy day everyone who subscribed to the series or ordered a copy last week has their record in the post. All six 7"s from the series are streaming on our site - 1 is already OOP, another is on it's second (and final) pressing and 2 others are very very close to being OOP (less than 20 copies). I don't want to say which are close to being sold out as last series when I did that we had a surge in sales for those 7"s followed by people flipping them on Ebay. This way anyone who genuinely wants a copy can get one for a fair price. If you're interested in any of them, now would be a good time to get involved! If you are desperate for a test press for one of these releases, get in touch as I do have 1 or 2 spare for each 7"
As the title suggests, we have 3 new releases coming out in July. 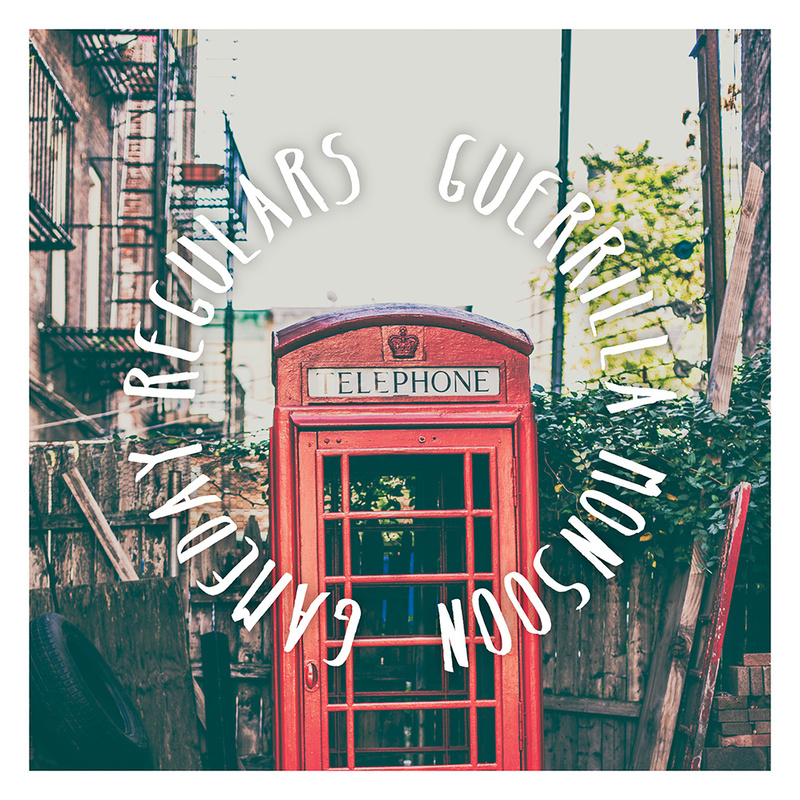 In about 10 days we should have the Gameday Regulars / Guerrilla Monsoon split 7"s. It's a co-release with Paper & Plastick, so if you live in the US you can get it from them. We will have the stream for this record up on the site very soon. 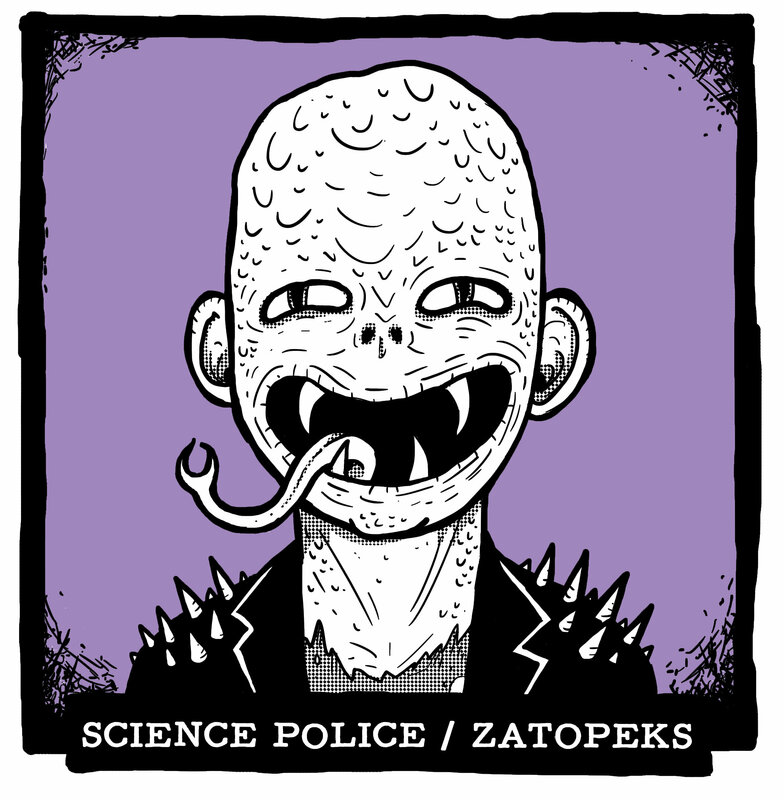 ...and FINALLY in 2 weeks time we will have the last record in series 3 of the split 7"s. It features The Zatopeks & Science Police (Grath from House Boat new band). Obviously this record was due out a while ago and I'm really sorry for the delay. There was a lengthy delay with getting the songs finished, then mastered, then the art and finally a final delay at the pressing plant! This record has had about 6 different release dates pencilled in but I can finally say with confidence the records will be posted out within 3 weeks, hopefully a little sooner. So, I finally merged our 2 sites and gave everything a new look. The main advantage is all the distro records are available to everyone, not just UK residents. Not only that but stock levels are adjusted automatically so no more emails from me telling you that we've sold out of something - if it's on the site, it's in stock! I reduced the price of a lot of the old stock, so whilst you are waiting for the first 2014 records to arrive in the distro, pick up a bargain or two. We only have 1 copy left of a lot of the records in the store, so don't sleep on it! For now everything is in alphabetical order but as and when we get new stock I'll add it to the top of the site to make it easy to see the latest records we've got in. I'll post a label update in the next few days - lots planned for the upcoming year.